These simple but elegant invitations are held together in a tapestry pocket with lace detailing. Inside lies all the information their guests needs, tied with ribbon. 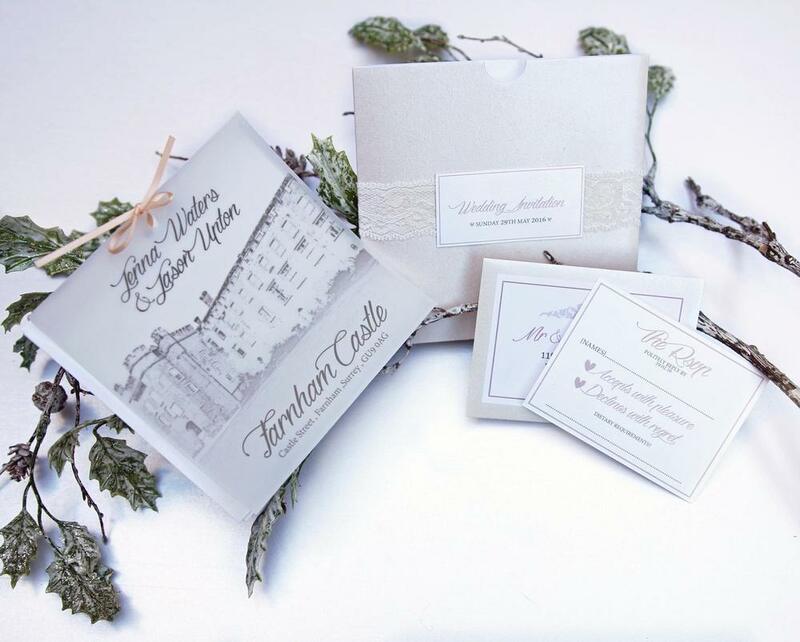 What made these invitations unique was the use of Velum paper on the front, to show off their stunning venue, Farnham Castle.